3 storey fully contained units. Highest quality natural stone on ground floor and timber floorings on upper levels. 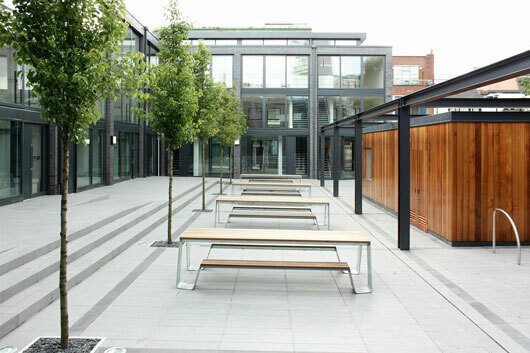 Access from the front and the rear, and shared courtyard space. All units are DDA compliant with lift access to the first floor. Ceiling mounted fluorescent light fittings. Kitchenette at ground floor level. Male, female and disabled toilet facilities. Secure bike storage unit in courtyard.